Blackbox is a guild of creators. You join Blackbox for free and upload your stock footage for free. Blackbox then submits your clips to the largest stock agencies in the world on your behalf. If you make a sale on any of these sites, Blackbox takes a (very reasonable) cut for their troubles, and you get a lovely monthly payout via Paypal. 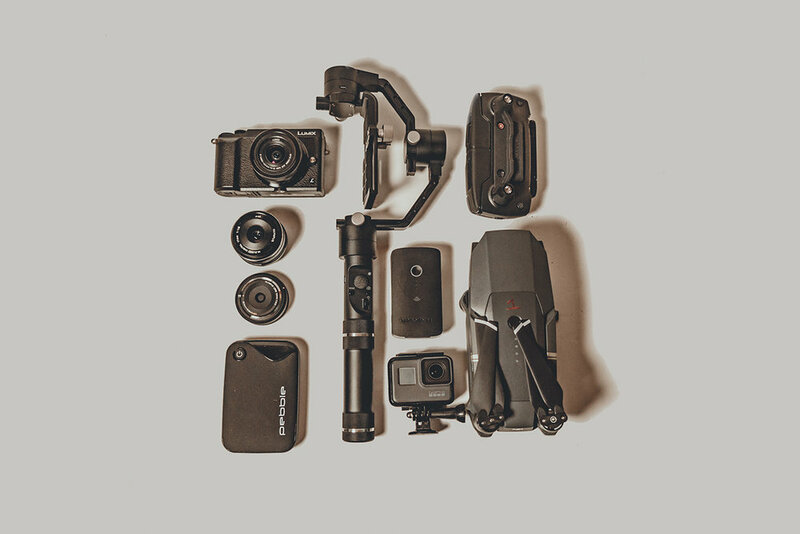 Prior to Blackbox, you had to upload your footage — and metadata — many times, with slightly differing guides and specifications on each site. So to say that Blackbox is a time-saver is an understatement. Upload once, get several times the opportunity to sell your stuff, and get one streamlined payment each month on the same date. But Blackbox is more than just distribution. There’s a true sense of community, and collaboration. You can connect with other members and outsource your colour grading, for instance. You can collaborate with local members and model for one another for a cut of the profits. You can even reach out and collaborate with metadata specialists — known as curators — who will name, tag, and categorise your footage to give it the best chance at being found by potential buyers. Suddenly, the most laborious and time-intensive tasks can be outsourced, so there really is no reason why anyone with footage, or metadata skill, can get started. And the best part is that no money changes hands because with Blackbox you CO OWN the content and share in the revenue. You can do it all yourself (like me! Control freak! Precious, my Precious!) or if you’d rather collaborate and save time and energy, you can do that too. It really is a wonderful system, and it’s getting better all the time. Some of my earnings. Best. Emails. Ever. So is Blackbox a get rich quick scheme? Ahh… alas, no. The truth is that stock footage really is very competitive. You could definitely get lucky with your clips of rusted antique kettles, or albino penguins, but generally speaking most of the major topics are highly saturated. But don’t throw in the towel just yet! Terrible examples aside, finding un-saturated niches is a fantastic way to make money. If you’re the only person on these stock sites providing your style of clips, you’ll definitely corner the market and make money. The other, more pig-headed, approach is to simply be the damn best at the saturated stuff. There will be one hundred astrophotography time-lapses for sale, but perhaps yours is in the best location, is longer, is the cleanest, the best colour-graded… etc etc. Stock footage is not a get rich quick scheme, but you can certainly make money from it. And you can make money from footage that might be rotting away on your hard drive doing nothing. If that appeals to you, then continue reading. Want to get involved with Blackbox? Sign up here for free! Related Reading: Why you should ALWAYS charge what you're worth. Related Reading: 10 Ways to Make Money Online As A Creator. Can holiday footage really make me money? Eh. Yes and no. You can’t just whip your phone out, film a seagull, and expect to make a hundred quid a month from it. Your footage must be of a certain standard and quality. You don’t need a million dollar camera by any means, but it should be well composed, not shaky, in focus, and generally professional-looking. So, yes, you absolutely can make money from your old holiday footage (as long as you upload high quality stuff. Blackbox is not looking for amateur grade footage). I started by uploading my old travel footage and mining the off-cuts from short films I’ve made. It got me my first 300 clips and made me my first handful of sales. And it changes the way you shoot on future holidays, too. I’ll always have an eye out for any potential stock footage opportunities when I’m out and about, but bear in mind: travel is one of the most saturated niches out there, and you’ll be competing with the most polished videographers in the business. If you committed to one recording session a month that is dedicated to creating just stock footage, imagine how much further you could go. Search the stock footage sites, see what sells, see what’s missing, see what you can make. Then go out and make it. This could be filming your mate on a bus while she plays on her phone, or footage of your mum walking her dog. These are terrible examples! But hopefully you see what I mean, it doesn’t have to be in the rain forest or up a mountain. You can make amazing stock footage even in your own home. Go bake a cake and film yourself preparing the ingredients. The great thing about stock footage is the subjects are very diverse. So where to start? Basically, see what actually sells, and don’t copy it exactly — that won’t work, these established clips have already filled that need — but maybe branch off from their starting points to find your own niche. If you notice that clips of a group of adults chatting in a coffee shop sells well, why not stage a book club in a house and film that? Or have them walking down a street? Sat in the park? Use what is popular as a starting point then see how you can change and improve it. Use what you have. What are you interested in? Do you play guitar? Record yourself playing, or setting up. Do you have an antique bottle collection (where are these ideas coming from?!) that you could shoot? Have a dog? Lizard? Does your dad make an amazing sausage casserole? Film him cooking. I also find it helpful to think about what stock footage is used for. Think from a buyer’s perspective. If I’m making a video for a company that is going to be shown at every team building meeting going forward, would I be looking to buy “man in suit sits at desk and looks over notes” or “seagulls flying over a waterfall in slow motion”? Not saying that the latter would never sell — it absolutely could! — But a lot of stock buyers are working in corporate settings, so definitely keep that in mind when creating your own footage. So how much money can you make from Blackbox stock footage? How long is a piece of string? This question is really hard to answer, but I’ll try. First, anecdotally, for a 4k clip, I’ve made around $60 a sale. For HD you make a bit less — around $28 or so — and there are tiers lower than that, such as web-only licences where you might only make around $7. The cut you get also depends on if you’re splitting it with a model or a curator. But… come on… one ten second 4k clip can make you $60?! Isn’t that exciting?! Another thing that happens often is if you upload one scene from different perspectives, you might sell five or six similar clips of the same scene. That $60 per clip quickly adds up. There are also licenses that go up up up depending on what the footage will be used for. Some lucky so-and-so on the Blackbox Facebook group reported one sale of $4000 when their clip was chosen to be used in a credit sequence for a Netflix show. Imagine waking up to that email! The actual sale prices fluctuate a lot, so I don’t think you should be bogged down with that. The real answer is: if you continue to grow your portfolio, and continue to upload great footage, just by the law of probability you will begin to get sales. There are people making six figures full time, just with Blackbox. But I imagine they upload and film dozens of clips a week, if not a day. There are people in between, who keep their day jobs but have a lovely bonus each month from stock footage. There are people like me who treat it as only one of many revenue streams. Unfortunately I imagine there a many people who don’t put the work in, don’t think about what might sell well, and never get a single sale from their squirrel videos and waterfall holiday footage. You get out what you put in, basically. And, truly, the sky is the limit. Do you need an expensive camera to make money with stock footage? I’ve sold stock footage shot from my phone, from my drone, from my cheap cameras, and my expensive cameras. So long as your footage is of a good quality and — perhaps most importantly — is the supply to some else’s demand, you’re all good. So don’t let equipment bog you down too much. Stable footage is very important. You don’t have to spend much money to achieve this. You can get a tripod or monopod and that will work just fine. Gimbals can work great for stock footage, but bear in mind that you have to know what you’re doing with them. A bit of a bump here and there in a youtube video won’t be the end of the world, but if your gimbal walk is bumpy the stock footage will suffer and may even be rejected. Gimbals can certainly help smooth out moving shots though. For a truly run and gun setup, you could look at a gimbal for your phone, like the super cool Smooth 4. I’ve recently bought the DJI Osmo pocket, which is insanely cool and really compact. For your larger cameras, you can always check out the Zhiyun Crane Plus or Zhiyun Weebill Lab (comparison article here). But enough about gear. This stuff will help, but the point is, the topics of your clips are probably more important anyway. Don’t let the gear-hunt stop you from creating! To collaborate or not. That is the question. Choosing to collaborate or not depends on a lot of things. And it’s just wonderful that the opportunity to collaborate is there in the first place, let’s be honest. This hasn’t really happened before. If you’re low on time or experience, collaborating can be wonderful. It can elevate your footage and give it a better chance at selling. My thoughts on the matter are: learning how to tag and properly describe my own clips is a useful skill, so I should just try my best alone until I improve at it. Even if it can be like pulling teeth at first. There is nothing wrong with either path, and the best bit is you can do both! At the same time! Perhaps you have a particularly busy month, so you collaborate for these 50 clips, but the month after you have a few days off and you complete the next 50 alone. All the payment distributions are sorted automatically for you, so it isn’t any more effort to work as a team for some, all, or none of your projects. If you’re starting out, you probably don’t have the capital so pay for a model for the day. With Blackbox, you don’t need to. As long as your model has a Paypal account, you can simply (and I do mean simply, the interface for this is amazing) pay them with a cut of your potential profits. This could get you up and running with more stock footage straight away without having to pay out anything. And, top tip! Statistics show that footage with humans in it does sell better generally than those without. So keep that in mind. Once you start raking in the sales it’ll probably be more cost effective to pay a model a day rate and you get all the lovely profits thereafter from the footage. But starting out, splitting potential sales is brilliant. Stock footage: what are the restrictions? Here’s where you need to put in a bit of effort and research. I’m learning as I go, so don’t take any of this as gospel — do your own research — but there are two ways to classify stock footage. Commercial footage means that you need to have all the releases, rights, and permissions to sell that footage. So if you are filming your mate on the bus, you need them to sign a model release. Anyone recognisable in your footage must consent and sign a release, or your footage won’t get approved. Don’t let this put you off. It’s dead simple. You can even do it all digitally on an app like Easy Release (or use the provided Blackbox templates). Then you just upload that pdf/jpg with your footage. Boom! Done. Another thing to think about is brands. Branded T-shirts or props for example. Don’t have your model in a Nike T-shirt, break-dancing under a Netflix billboard, is what I’m saying. Make sure your models are in plain, non-branded clothes, and make sure you either conceal brands or have permission to use them in your footage. Also… PLACES. Some places are strict. You need commercial licences to film in certain national parks for instance. You probably wouldn’t be able to film the Eiffel tower at all. This can all sound quite intimidating, but really it’s very simple: Just make sure you have permission to film everything within your frame. People, objects, locations. If you can guarantee that, then you’re onto a winner. But. Do not despair! That second category I mentioned? Editorial? That can save your bacon. This category is for buyers who want things for news reports or educational purposes, for instance. This footage isn’t being sold to be used commercially. So, if you film a terribly long traffic jam, as an example, a news station might want that footage, even if you can see the makes of the cars and even recognisable people in the clip. Just one thing to bear in mind though: Editorial isn’t a dumping ground for footage you haven’t bothered to get releases for. It’s always best to get proper releases and submit your footage as Commercial, and submit only relevant footage as Editorial. So Blackbox. Is it for you? I think the best thing about Blackbox is you can add to your portfolio as much or as little as you like, and it costs you nothing… so why not take part? You’ve got to be in it to win it, as they say, and there is no time limit on your footage. You could potentially upload a clip today, and have it sell five years from now. I find that quite exciting, to be honest. I like the idea of putting in the effort today and seeing the benefits in the near and distant future. One thing to think about — and this is the part where you have to be honest with yourself — look at your footage and ask: would someone pay for this? If the answer is yes, you’re already winning. If the answer is no, then there’s no reason why you can’t improve and use this as an incentive to get there. One more final word of warning: if you’re not willing to learn and adapt your style to conform to stock footage standard (no weird transitions or Orange and Teal colour grading, please!) then you might be wasting your time and everybody else’s. Sorry to be a Debbie-Downer but it’s the truth. If you want to learn, and improve, and speak to like-minded people, and make money along the way(!) then get started, like. NOW. The Blackbox guild is so successful because people submit awesome footage and work together as a community. If that sounds like something you’d be into, then get involved! Pull up a chair and welcome to the club.